Ships today if you order in the next 5 hours 35 minutes. When you're flushing the bad stuff out, make sure you're taking the good stuff in. 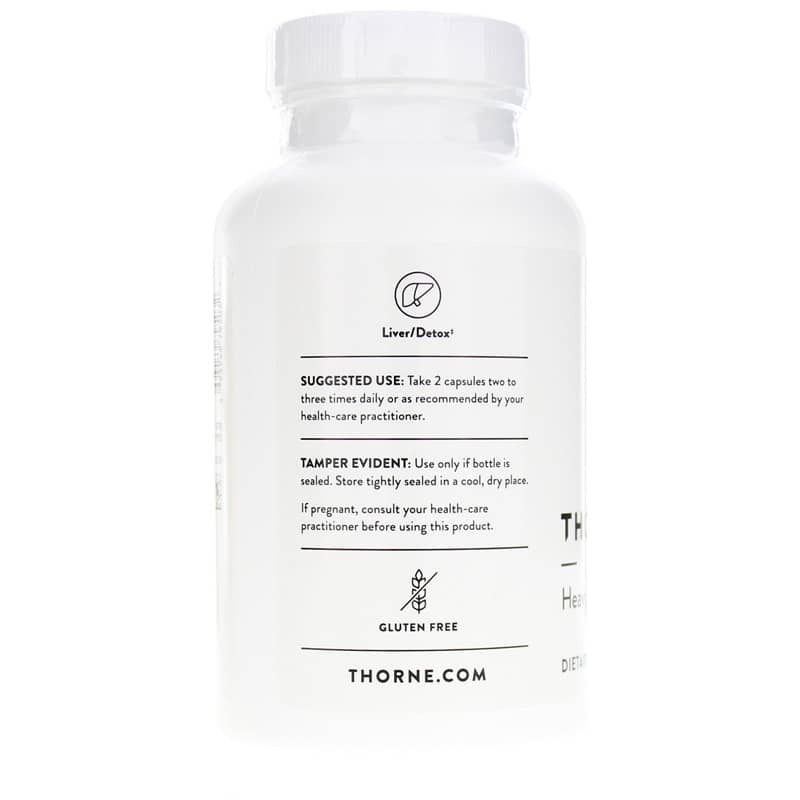 Support healthy detoxification with Heavy Metal Support by Thorne Research. Heavy Metal Support is a blend of minerals, herbs, and nutrients necessary for healthy detoxification support that's ideal for use along with other detoxification support products. 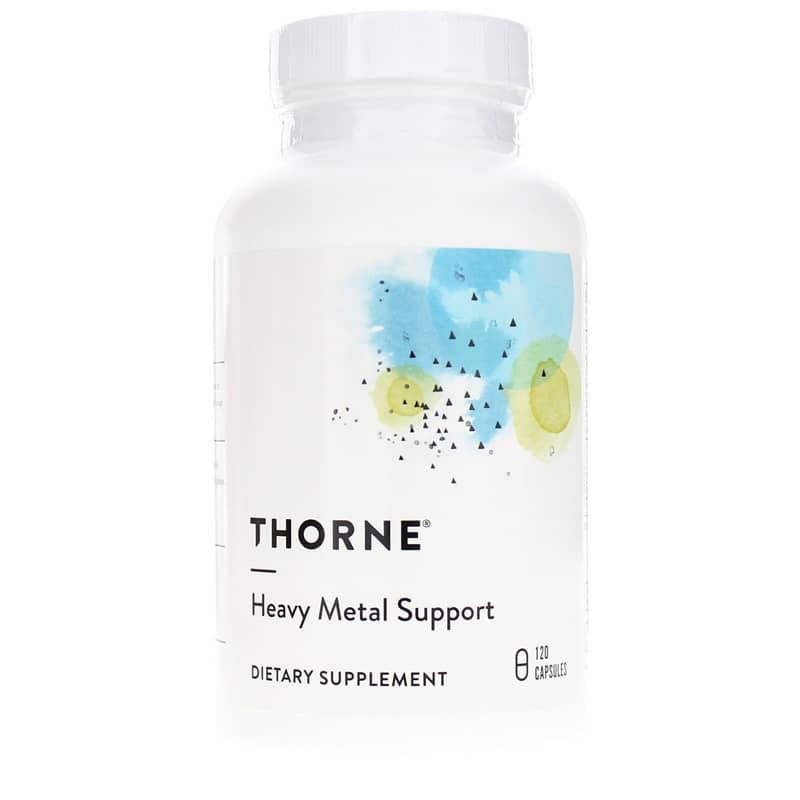 Used along with Thorne Research's detox Captomer and Basic Detox Nutrients, Heavy Metal Support promotes healthy detoxification by maintaining normal levels of key metals and minerals. Heavy Metal Support includes the important minerals magnesium, zinc, molybdenum, manganese, copper, selenium, and potassium. 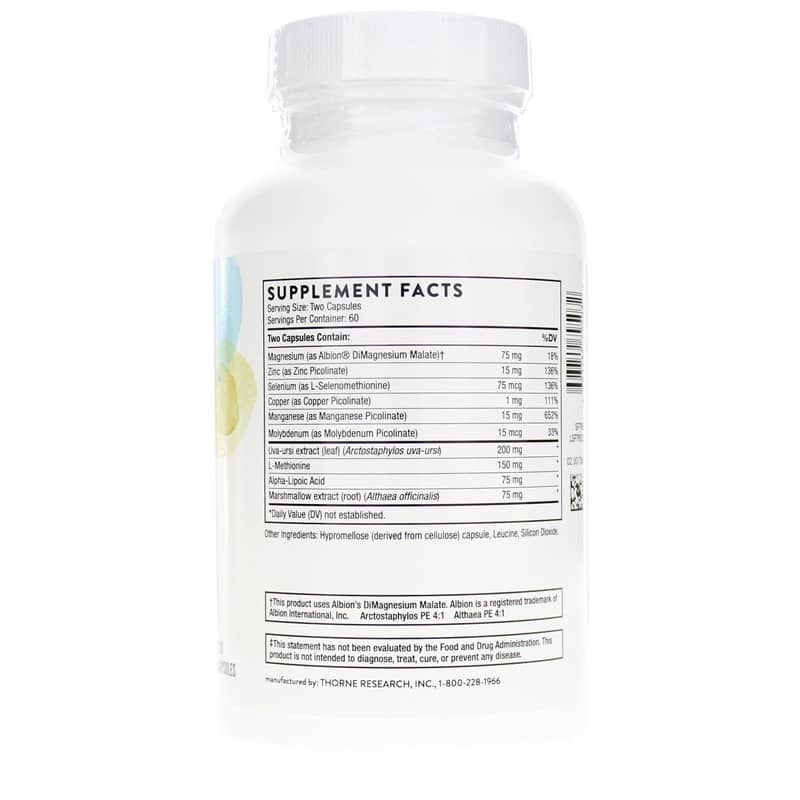 For optimal bioavailability of these nutrients, Thorne Research uses quality chelate forms such as zinc picolinate and magnesium citrate-malate. As part of healthy detoxification support, several ingredients in Heavy Metal Support help protect the kidneys - crucial filters to help remove toxins. These ingredients include zinc as well as extracts from uva-ursi and marshmallow. Selenium and alpha-lipoic acid may support enhanced levels of glutathione - a key detoxification antioxidant produced by the body. For best results, Heavy Metal Support (and other supplements containing minerals, such as Basic Detox Nutrients), should be taken on days when Captomer is not. Get the nutrients you need to get rid of toxins. Order Heavy Metal Support today. Adults: Take 2 capsules two to three times daily or as recommended by a healthcare practitioner.